Igniting and nurturing a love for music in the Shawnee community for 13 years and counting! Local. Family-Owned. Fun! 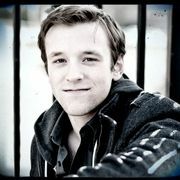 Daniel is a UMKC graduate with a Bachelor of Arts degree in Music. He has studied under some of the best guitar instructors in the area. Daniel is great with students of any level, beginner to advanced ranging in styles from rock, blues, classical, jazz, and more. Whatever your age or level, Daniel will develop and implement a personalized plan for you. Daniel is also fluent in Spanish, both written and spoken. Jamie has played guitar since 2003, and has studied with Kansas City’s best: jazz guitarists Rod Fleeman, Danny Embry, and Jay Eudaly, classical guitarists Douglas Neidt, Jim Mair, and Ron Stinson. He attended Johnson County Community College and graduated with honors from Kansas City Kansas Community College. Jamie performed in the pit band at the Tivoli Music Hall for 2 seasons as well as the country show, Made in America, at Worlds of Fun. He has participated in several music ensembles such as Big Band, Latin Band, and Jazz Choir at JCCC and KCCC. Jamie has played regularly with his group 3 Son Green since 2004, including writing and arranging. Trey has been playing bass and guitar since 2001. 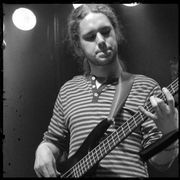 He has studied bass under Kevin Payton, Stan Sheldon, Gerald Spaits, Ron Stinson, Jim Mair, and Bram Wijnands. He has participated in several music programs such as Big Band, Latin Band, and Jazz Choir at Johnson County Community College and Kansas City Community College. 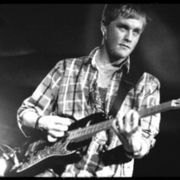 Trey has played with many local groups including 3 Son Green, Relentless, The Jeremy Nichols Band, and An Alien, playing a wide range of music from country, to experimental rock, to straight-ahead jazz. Trey teaches: Bass Guitar, Guitar, Ukulele. Copyright © 2019 Blues To Bach Music Center. All Rights Reserved.